Good news for flight simulation enthusiasts. 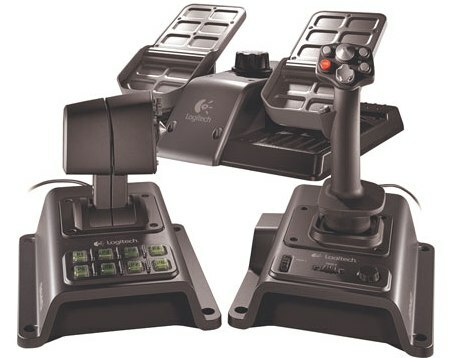 Logitech has announced the launch of its first force-feedback flight simulation controller, named as Logitech Flight System G940, which features a force feedback joystick, programmable dual throttle (split throttle design) and rudder pedals, and there are over 250 programmable button options integrated into fully featured HOTAS (Hands On Throttle-and-Stick) design, aiming to provide users a simulator-grade flying experience. The new Logitech Flight System G940 force-feedback flight simulation controller that compatible with most popular PC flight simulators including Microsoft Flight Simulator X, IL-2 Sturmovik: 1946 and Lock On: Modern Air Combat X-Plane 9 will be available in coming September for MSRP of $299.99.